Visit the Country Music Hall of Fame and Museum in Nashville and you'll wander through glass-encased exhibits featuring guitars, shiny awards, album notes and the like from all the old-timers and top names of country such as Roseanne Cash and George Strait, Reba McEntire and Garth Brooks. 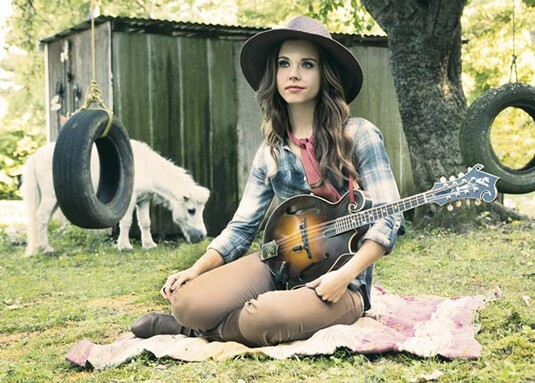 Now add to that 25-year-old mandolinist and singer-songwriter Sierra Hull. On March 17, the Hall of Fame opened its American Currents exhibit, with artifacts from artists such as Dolly Parton, Miranda Lambert and Florida Georgia Line. While this isn't the first time Hull has been included in a display — in 2015 she was part of a mentor/mentee project with her producer and friend, Grammy award-winning banjoist Béla Fleck — it is her first as part of a "big stories of the year" exhibit. © 2013 - 2018 Kirsten Akens. All Rights Reserved.